RP8 G2, Active Monitor from KRK in the Rokit Powered G2 series. 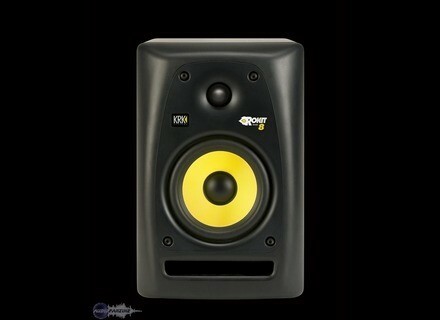 Product replaced by the KRK RP8 G3. 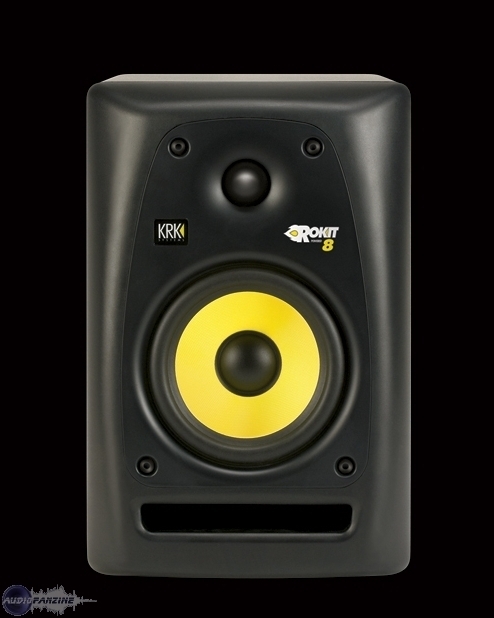 KRK Systems, manufacturer of powered recording monitors, launched the second generation of their Rokit monitor. The second generation Rokit incorporates several technologies from the company's flagship VXT and E8B lines, including radically radiused edges along the front of the cabinet. The new Rokits replace the current Rokit 5", 6" and 8" models. The Rokit G2's curved front baffle was engineered to minimize diffraction of high-frequencies, resulting in a sweet spot that is significantly larger than products with square or lightly rounded baffles, claim KRK. The baffle also houses a molded front-facing bass port designed to minimize low-frequency phase distortion and unwanted frequency emphasis typical of rear-facing bass ports, adds the manufacturer. The new Rokit G2's have a list price of $149, $199 and $249 for the 5, 6 and 8 inch versions, respectively. They are available now. Digidesign RM1 Digidesign launches new Reference Monitor Series: the M1 is the smaller of the two available.